I stopped by Walmart yesterday, and saw that they had chocolate covered cherries. Yum! I got some. But when I got home, I found out they were melted. Ugh. Somewhere along the process of shipping, they must’ve gotten very warm. Many of the tops were all collapsed. I’ve encountered this before. I had some weird, melty Milk Duds before. Maybe they’re just sitting out in the sun a little too long. Or maybe the shipping container ships get warm on their way over. I guess it wasn’t all bad. It kept me from eating the whole box. 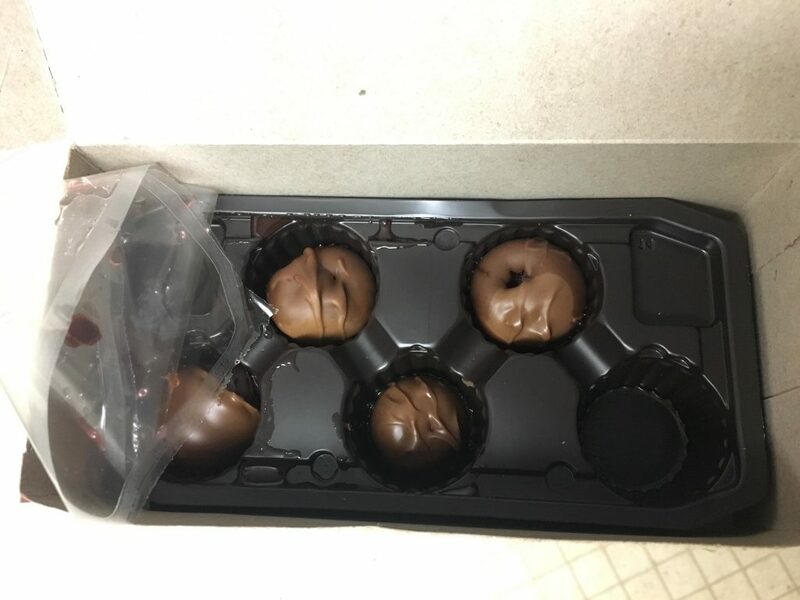 I didn’t take them back for a refund because I wanted to taste one so bad I opened the package. We’re they grosser than normal chocolate-covered cherries? I can’t imagine them being any worse. Lauren…..maybe you’re just eating them wrong. Try my way: Take a small bite, remove the cherry & discard, eat the rest! Yummy!! !